17\10\2015 Recently has ended Italian Coastal Rowing Championship in Luino (Varese) and Salani boats got several medals in the many races classes. Good job by event organization who has delivered many boats to allow to a great number of rowers to take part in the races. Also Salani has played an important role make avaible a coastal rowing fleet for this event. 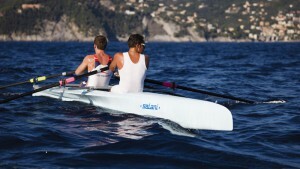 Many frends and rower wanted to test coastal rowing Salani during training sessions and races in the event. We are very happy, but most of all satisfayed, for the long work done so far by many congratulations and admirations received from any rowers to Salani Coastal Series. We are ready to look forward to national and international Coastal Rowing 2016 events.